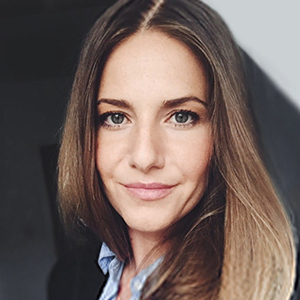 As Director of Product Marketing Mobile, Dr. Marlene Wolfgruber is responsible for definition and execution of the global product marketing strategy for ABBYY’s mobile product portfolio. She manages the product lifecycle from market requirement and go-to-market strategy development, to creation of sales enablement and other oﬀerings for partners. Previously, Marlene was the responsible Product Marketing Manager for ABBYYs Data Capture portfolio in Europe. Marlene brings several years of experience in product management and marketing and has worked for a variety of technology companies in the realm of information and document management and data capture, e-mail management, and natural language processing. Marlene holds a university degree in computer linguistics and a Ph.D. on the topic of Sentiment Analysis. Organizations are focusing on growing their customer base and retaining existing customers to be more profitable. This session provides an overview of how ABBYY’s Mobile Portfolio is helping organizations optimize the Mobile Customer Experience and reach those goals, by enabling smooth frictionless customer interactions within the mobile channel. Combined with ABBYY’s AI-enabled backend processing systems, the delivery of a personalized customer experience multiplies the users’ benefits and meets their expectations. This session will present mobile SDK and API capabilities from ABBYY.